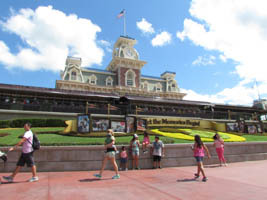 We spent a few hours yesterday at the Magic Kingdom (below, left) – it’s hard to believe it’s been a month since we’ve visited! 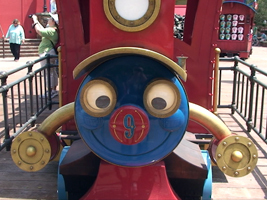 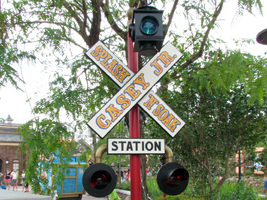 The last visit we made was when the Casey Jr. Splash ‘N Soak area was opened. 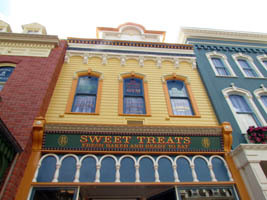 The Main Street Bakery had been under a facade for quite some time including the last time we were here, and it looks very nice and bright now (below, right). 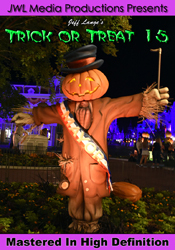 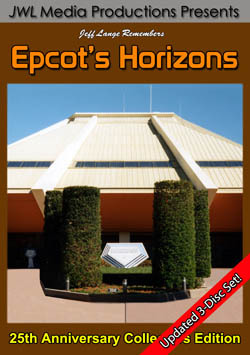 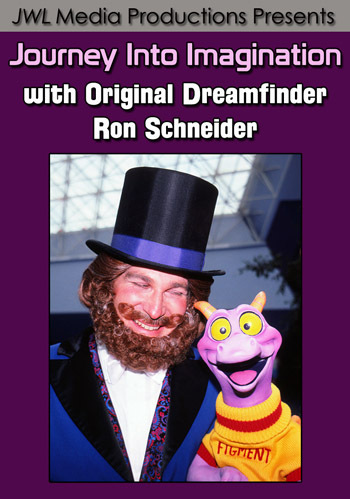 We have another installment from our Disneyland trip last month! 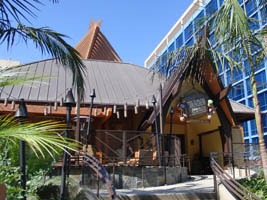 On Denise’s birthday, we paid a visit to one of the Disneyland Resort’s newest additions, Trader Sam’s Enchanted Tiki Bar (below, left). 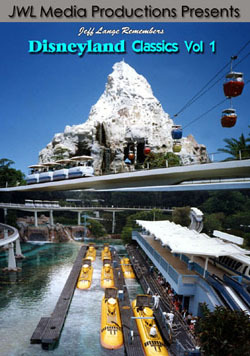 The bar is a fun mix of The Jungle Cruise, Adventurer’s Club, Enchanted Tiki Room, and more. 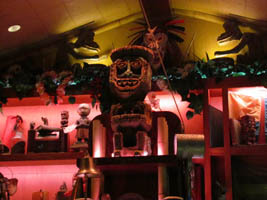 A tiki stands guard above the bar (below, left) and you can see two tiki drummers like the ones you’ll find in the Enchanted Tiki Room (below, right).